i.e used to design static web page. 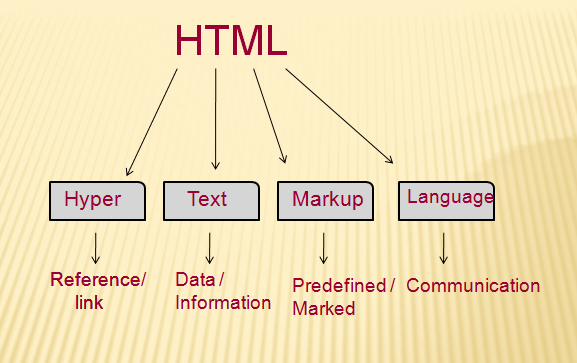 HTML stands for Hyper text mark-up language. 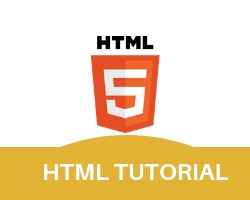 HTML is the client side scripting language i.e, used to design static web page. Here every single word has its own meaning i.e. Hyper means reference link, text means data, mark-up means predefined, language means something that needs to communicate. Every web page designed is HTML has an extension “.html or .htm”. Editor used to design the HTML static web page are notepad or notepad++. Every HTML script will be executed in any web browser. Basically HTML is divided into two sections i.e. Head section and Body section. Head part contains the title of the page. Body part contains other tags of the web page like title, headings, image, table,etc. 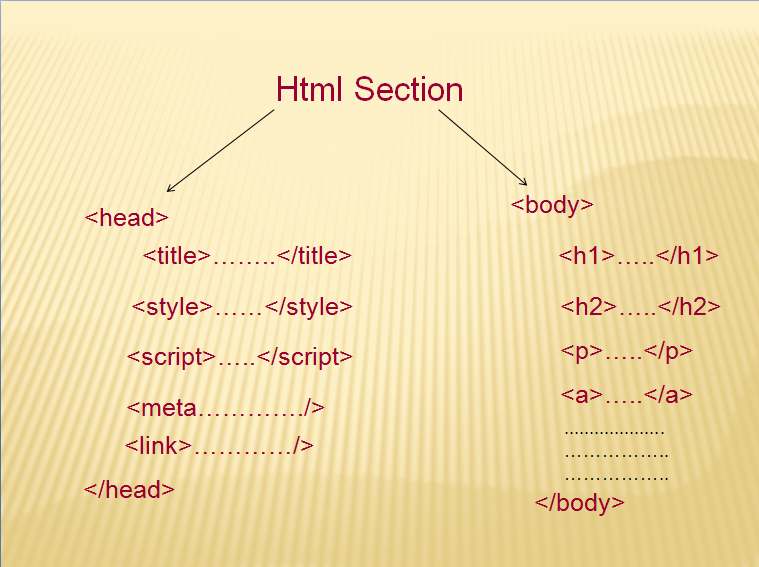 Head section :HTML include pair of tags, and to identify the heading and title of a document. The tag appear in this section. Body section : The body of HTML contains the text that will show up on web page.The Body section enclosed within and tags. It gives document layout and structure.